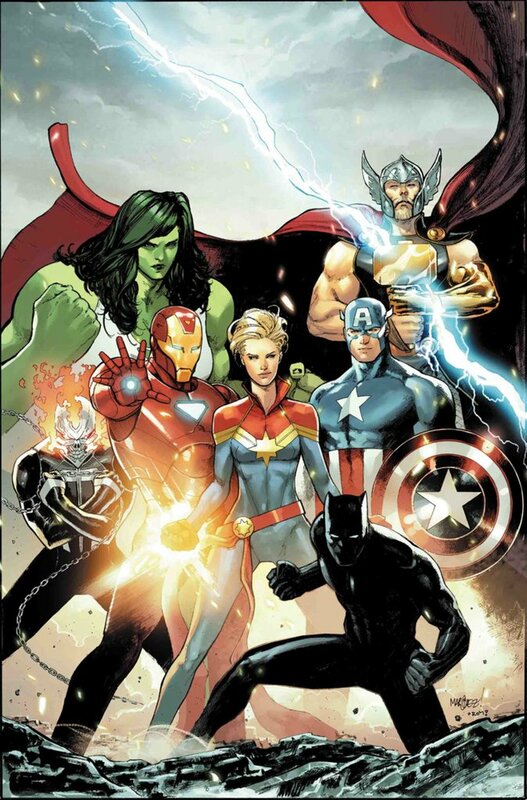 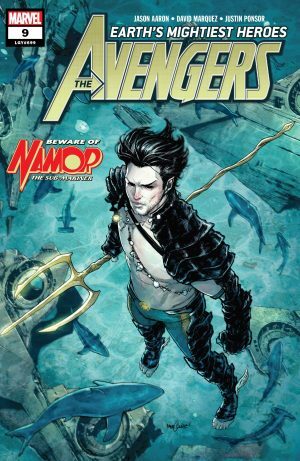 Marvel Comics Universe & Avengers #9 Spoilers: Namor Recruits Powerful Allies For A New Team To Rival The Avengers On Eve Of Avengers #700 / Avengers #10? 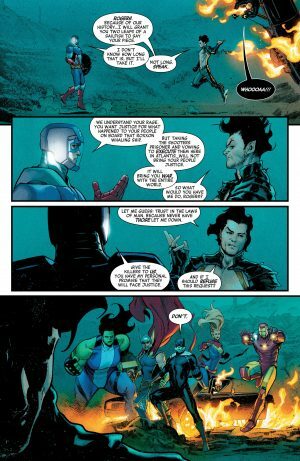 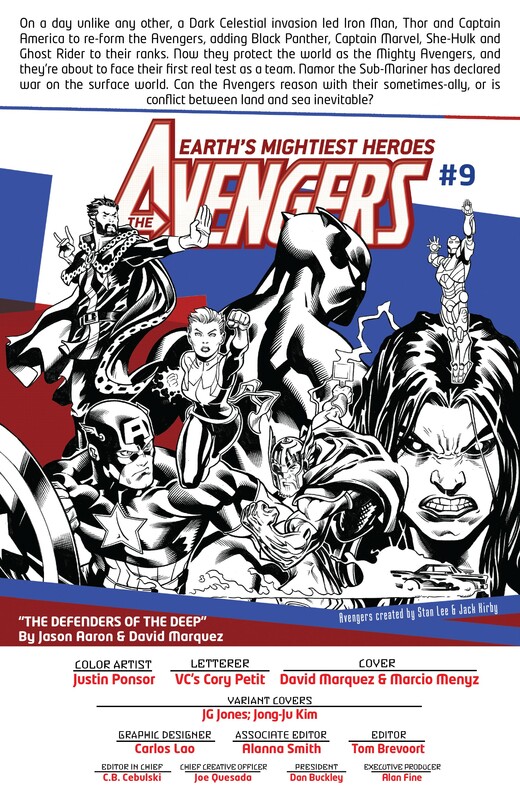 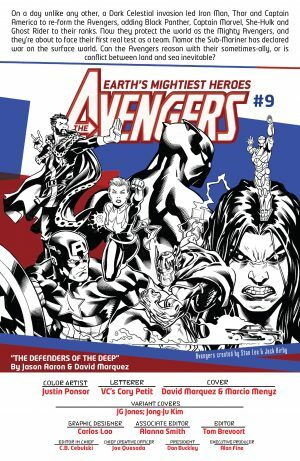 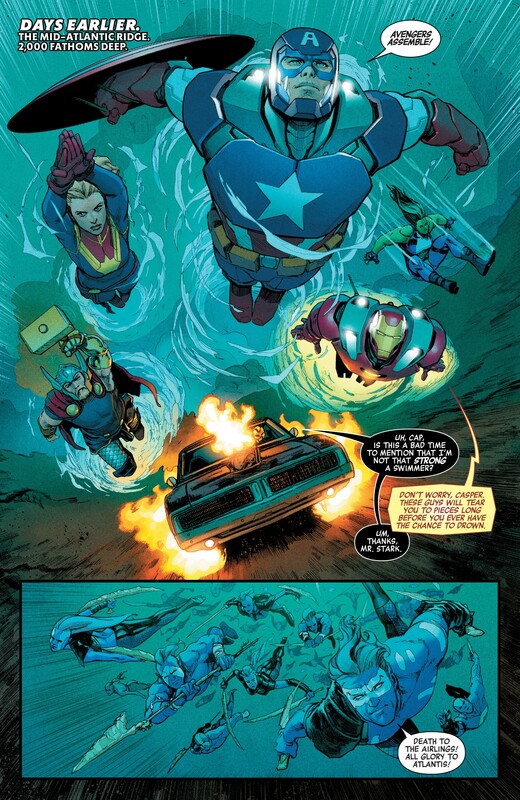 Marvel Comics Universe and Avengers #9 Spoilers follows. 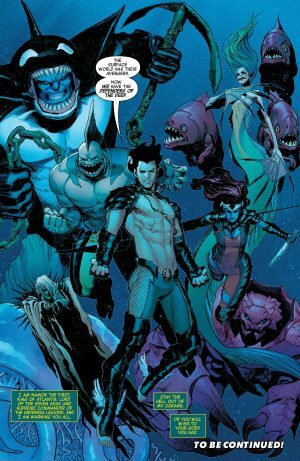 Namor Recruits Powerful Allies For A New Team To Rival The Avengers On Eve Of Avengers #700 / Avengers #10? 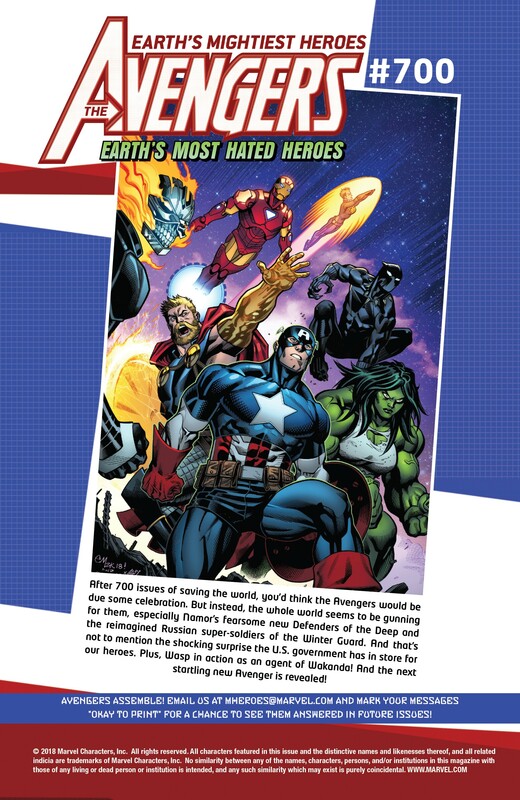 The book opens with a a storyline catch-up and creators’ credits page. …due to his and his people’s battle with surface dewellers over a company’s actions that killed Atlanteans. 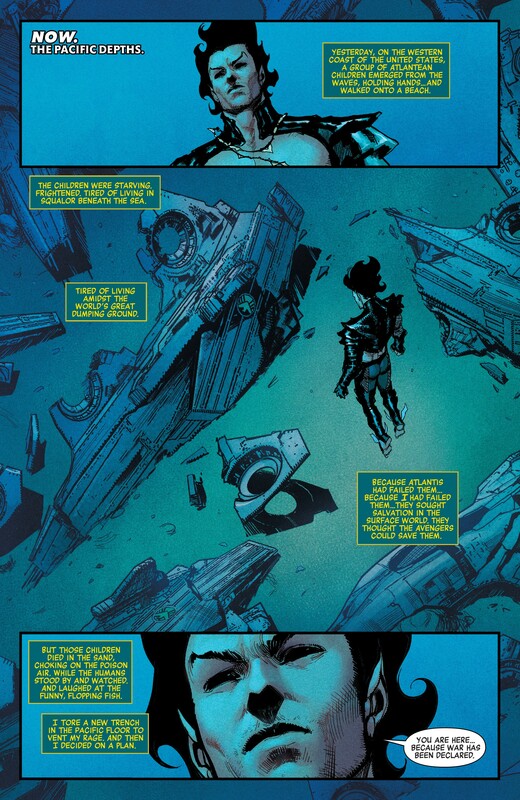 Atlantis has also been crushed due to the whole Final Host fiasco by a Celestial. 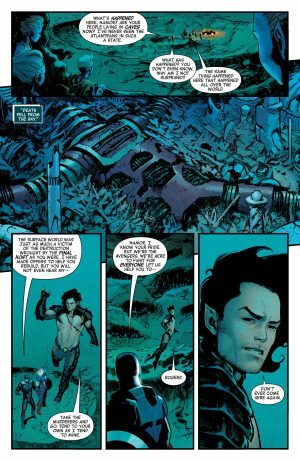 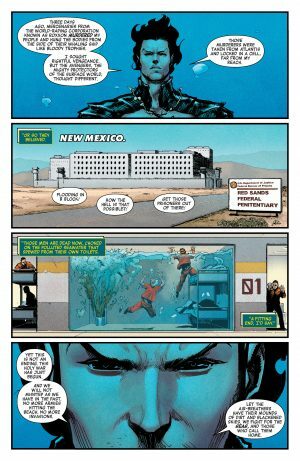 Dark times notwithstanding, Namor agrees to turn over his prisoners to Captain America for trail under surface world laws. …creates a Defenders of the Deep to deal with threats to Earth’s waters! 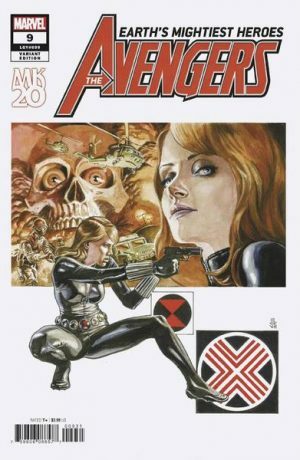 …several variant covers including this one by David Marquez.